Does anyone know if there is a 24VDC of 48VDC battery charger that can be controlled via Modbus? You can get charge controllers and battery chargers with Modbus. Googleing " Modbus 24V charger" brings some them right up. OK thanks Rick - I have been doing this but wondering if you know of any that work well. I'm wondering if there are Lead acid based or LiFEPO4, and whether you can set the Charging Amps value through a modbus register, and read the SOC through another modbus register address. I see Deep Sea Electronics as one example but cannot see what the modbus map for their chargers are. What the heck is a modbus? "Modbus is a serial communications protocol originally published by Modicon (now Schneider Electric) in 1979 for use with its programmable logic controllers (PLCs). 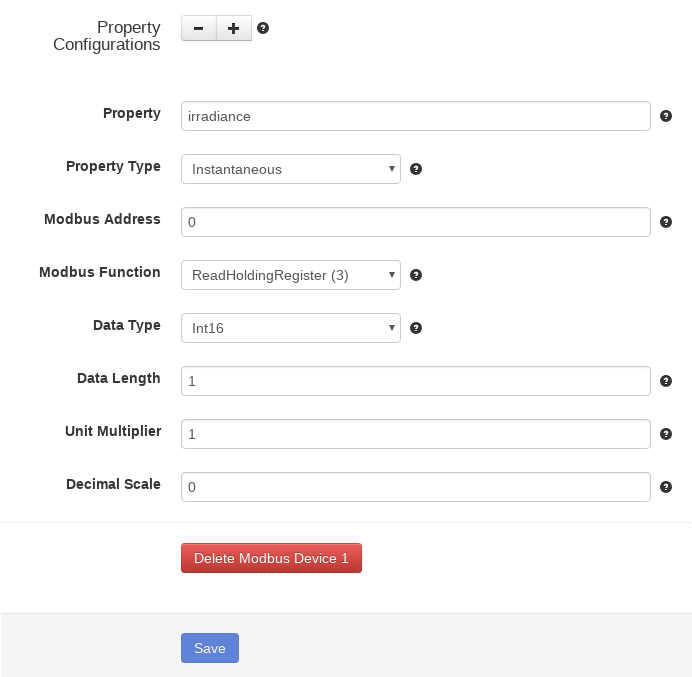 Modbus has become a de facto standard communication protocol and is now a commonly available"
Just as an example you can collect data from a modbus enabled device like a pyranometer, which gives out an irradiance value in watts per m^2. 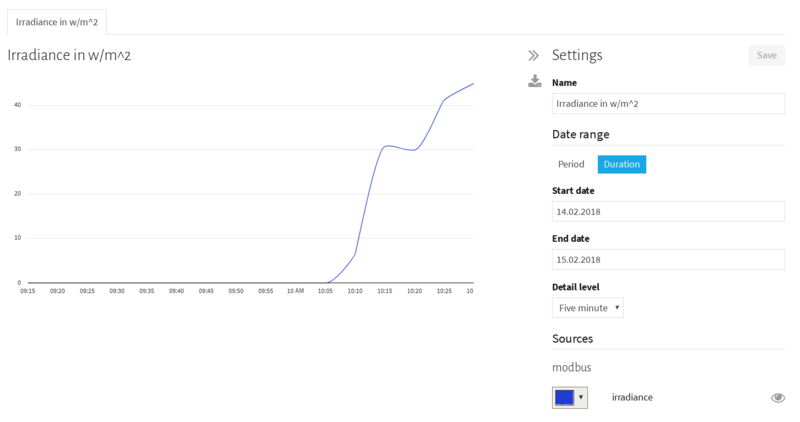 with SolarNode running on a raspberry pi, you configure it once and then can chart it alongside your PV array production or whatever you like.